Kodakery : Water Sports, Hawaii, 1915. Eastman Kodak Company, Rochester, New York. 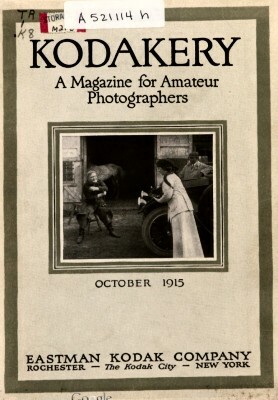 Volume 3 Number 2, October,1915. The accompanying picture of surf-riding in Hawaii is a reminder of the wonderful usefulness of the camera in reporting the fascinating water sports which have of late taken so many interesting forms. 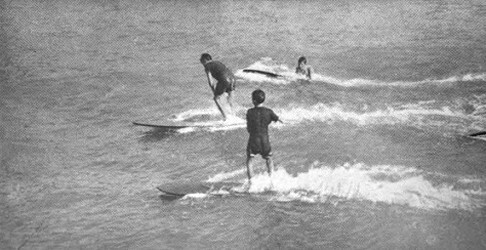 Surf-riding has been introduced on American beaches, with certain modifications of the Pacific method. Swimming, tub and canoe races, " rescue races" and a great variety of other contests give the Kodak a happy opportunity, and only the advent of the Kodak and the Graflex could have made the recording of these picturesque incidents so pleasurably successful. Geoff Cater (2017) : Kodakery : Water Sports, Hawaii, 1915.